For P3HT: PCBM (Poly(3-hexylthiophene-2,5-diyl): Phenyl-C60-butyric acid methyl ester) bulk heterojunction organic solar cell, performance improvement due to thermal annealing during the solvent drying step in the device fabrication has been well documented. P3HT being a polar molecule, can respond to an externally applied electric field and thus application of an electric field during the active layer formation can further increase the device performance. In this paper, we have studied the application of an external electric field during thermal annealing process, both constant as well as pulsed electric field. We find that the application of an electric field does improve the morphology of the photoactive film. 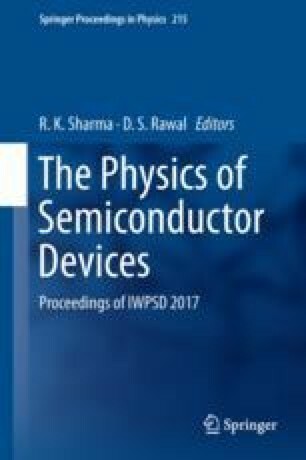 The role of pulsed and constant electric field on the device performance is being studied. From the initial results, inverted solar cell structure devices formed with layers with pulsed electric field annealing show the best performance. This work was carried out as a part of activities of the National Centre for Flexible Electronics. The support of MeitY, Government of India and IIT Kanpur to the centre is acknowledged.